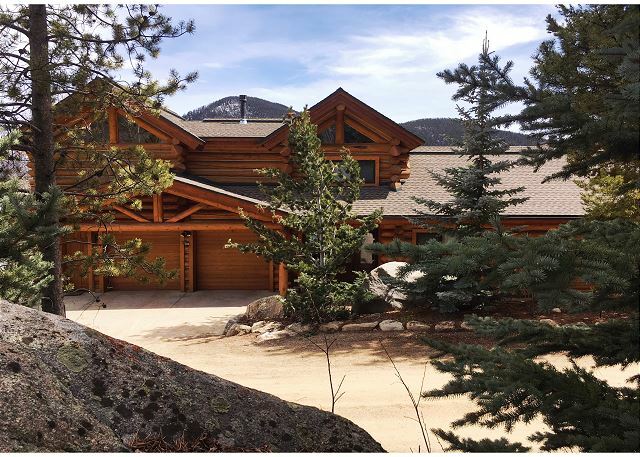 This spectacular home sits on the shores of Shadow Mountain Lake. Everything about this estate is high end and luxurious. Amazing views from inside and outside. 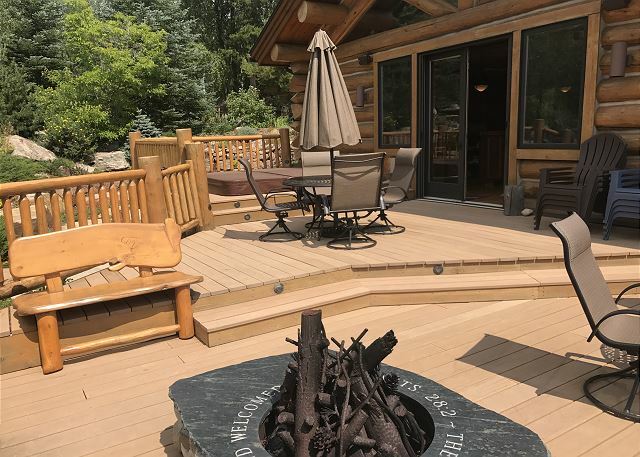 Decks for relaxing and spending time with family. Beautiful grounds with state of the art waterfall. Hot tub for soaking at the end of a busy day of hiking, boating, exploring Grand Lake and area. Evenings, sit by the outside gas fire pit to star gaze and make great family memories. Great Room features a wonderful living area, large dining table for family meals and game nights and a chef's kitchen that make meal preparations easy and enjoyable. Lower level rec room has a pool table, air hockey table, bar area and television. Living areas and bedrooms all have television with Dish TV and Blu Ray Players so everyone can watch their own show. 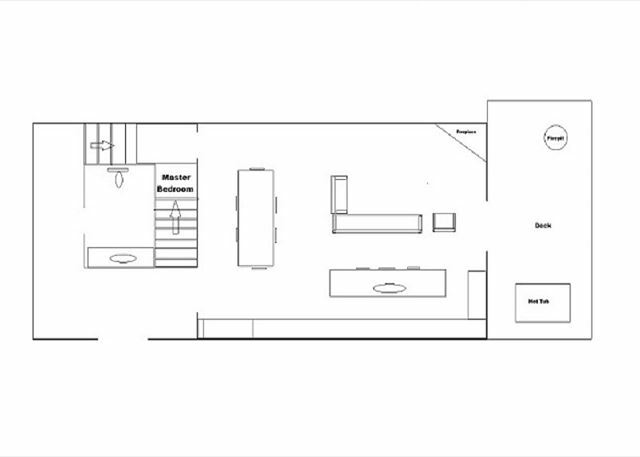 This home has four bedrooms and three full baths and two half baths. Two car attached garage for protected parking. Minimum age requirement to rent this home is 25 years of age with a strict maximum occupancy of 9 and Damage Insurance Required. Also available, at an additional fee, is a guest house with amazing views and a huge Great Room with comfortable living area, well equipped efficiency kitchen, two queen beds and full bath (strict maximum occupancy of 4). Full estate can be booked by calling our office. PLEASE NOTE: THIS HOME REQUIRES A FIVE NIGHT MINIMUM OVER THE FOURTH OF JULY HOLIDAY. You have to see this place to believe it! Better yet you have to stay at this place for a few days to really appreciate it. It is truly amazing! 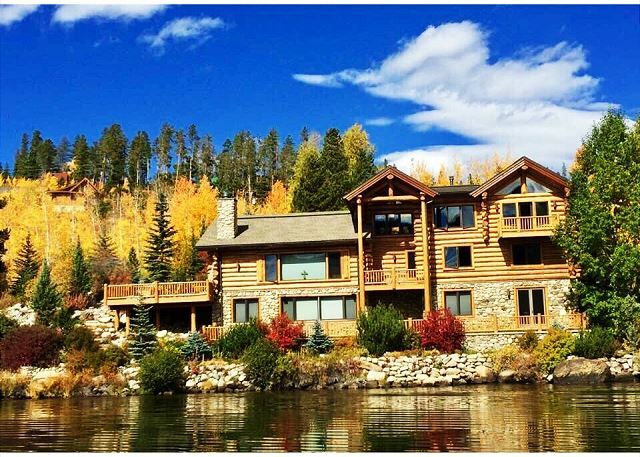 Yes, Grand Lincoln Log Cabin is a pretty special property. Come back and stay again! The home was awesome. The owners very responsive to all our needs and questions. So much to do in Grand Lake. We would highly recommend renting this house and going to Grand Lake. Glad we could help and super happy you enjoyed Grand Lake. The house and location were absolutely beautiful. We couldnt have asked for a more wonderful cabin right on the lake. The view and waterfall were peaceful. The furnishings in the property were of great quality and we all had plenty of room to spread out. The property management staff was courteous and went above and beyond to be extremely helpful. A few upgrades they might consider would be to maintenance the log railings that were rotten and falling apart in a few areas, the outdoor tables and wooden loveseat rocker had to be thoroughly cleaned before we could use them, and there was quite an algae bloom on the pond with swarming airborne gnats. That did not ruin our overall experience. A small stock of general cooking spices would be extremely helpful as well as more bathroom amenities, otherwise we had everything we needed. Thank you for your review. We are happy to say that the log railings that were an issue have now been repaired and replaced. We apologize for any dirt or pollen on the outside furniture. It's always a battle in the mountains to keep outdoor furniture completely clean. This property is better than described! The rental process was easy and Ralph even met us at the house for an easy check-in process. The access to the dock was easy which allowed for great water sports and fishing during our stay. The house has everything we needed and we would definitely choose this property again. Thank you for the nice review and we are so pleased you enjoyed yourself at Grand Lincoln Log Cabin! We look forward to welcoming you back! We had the most amazing time at this fantastic property. Waking up to beautiful views, relaxing in the hot tub or by the fire pit, and trying our luck fishing off the dock kept us plenty entertained. When we felt like getting more adventurous, the cabin was close to hiking, boat rentals, as well as ATV rentals, which we took advantage of. The quick trip into town was also handy to grab a pizza or enjoy a nice dinner, when we didn't feel like cooking.We ate at the Sagebrush, highly recommended. 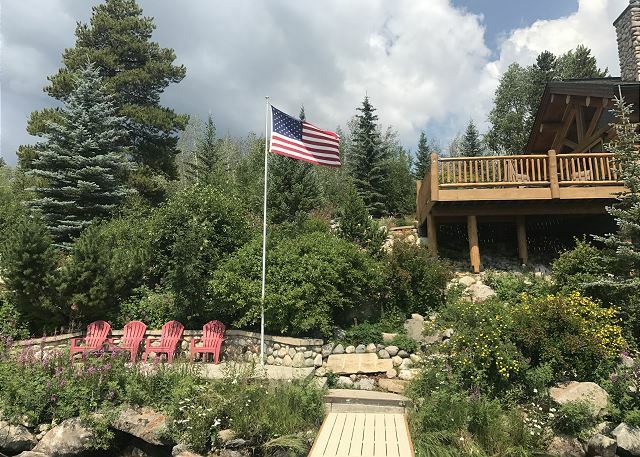 The cabin and surrounding property was clean and well maintained with all the amenities anyone could possibly need and the outdoor waterfall was simply spectacular. We honestly couldn't ask for more in a vacation spot and hope to be back soon! Loved the place would stay there again for sure. Only negative was the wifi...our mobile phones were faster than the wifi. We are so pleased you enjoyed your stay at Grand Lincoln Log Cabin. Here in the Rocky Mountains wifi can certainly be spotty at times. Please come back again! We traveled from Nebraska to enjoy an awesome vacation with friends at Grand Lake, CO. 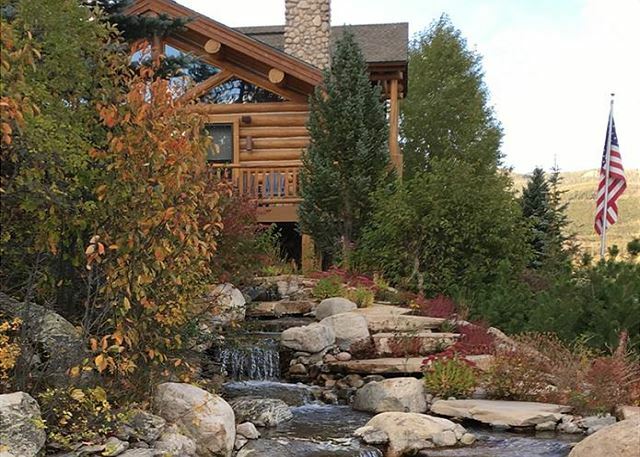 The Grand Lincoln Log Cabin is beautiful and the view of the Shadow Mountain Lake is spectacular. The property is in a great location near to town. This spacious home is very well appointed with everything you need to enjoy a relaxing getaway. We spent a lot of time on the deck enjoying the beautiful scenery and the waterfall. The rental management was very helpful. We would definitely stay at this property again. Over-all experience was great. Calise and Ralph were very helpful and made our stay as good as possible. As a former owner of rental properties thought the following suggestions would help. We were told the fireplace was gas, it was wood burning with no wood or starter provided, need extra towels for hot tub use, shower handle in the master needs to be tightened, should have at least 8, probably 10, chairs around the dining room table for large gatherings, personal opinion but pillows were too hard, too big and not enough of them, no lamps that you could read by in the bedrooms and living room, should have a throw blanket in the living room, no trash bags in the garage for the cans if that's what you want guests to use, the second french door going to the deck would not operate thereby making the screen door unusable thereby allowing bugs in. 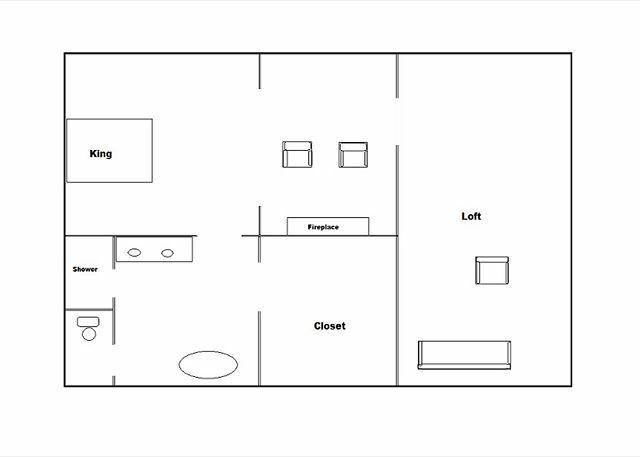 Realize the above is getting pretty picky but want to help for the future. Over-all, we had a great time and the cabin was awesome. Would come back again and again as long as Calise and Ralph are handling things for us. Thank you for the great review! We also appreciate your suggestions. The main fireplace in the living room is a gas starter fireplace that burns wood. Our homeowners have noted your suggestion and have ordered a cord of wood for guest use. One of the closets did hold extra chairs, however, based on your comments we will be putting them in the garage so they are more readily available. Also, more throw blankets will be provided. Screens are working properly. Again, thank you for your review and your suggestions which have proved quite helpful. 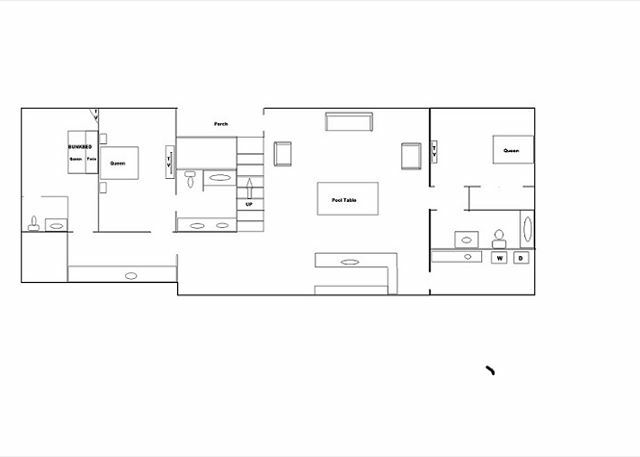 We want to make sure that Grand Lincoln Log Cabin is a comfortable retreat for everyone! Looking forward to welcoming you back some day! 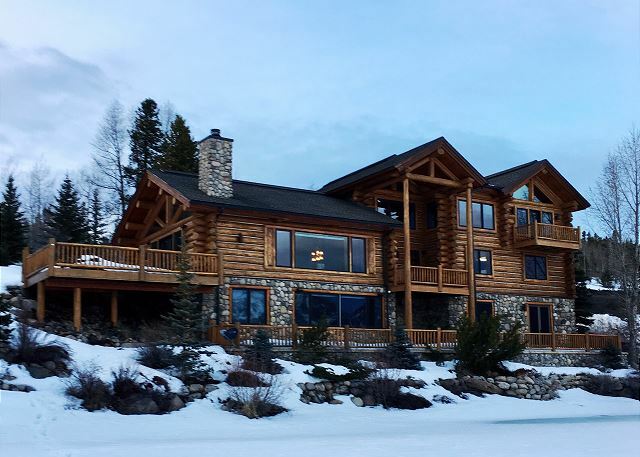 The stay in Grand Lake at this magnificent cabin exceeded all expectations. The home itself is perfect down to every detail, and the location on Shadow Mountain Lake provides the best view in the area. Grand Mountain Rentals was the best rental agency we have dealt with in every way. They were informative and helpful and available at any time. The Grand Lake area itself is extraordinary and full of activities that fit nearly every taste. The nearby restaurants provide a great variety and the food was excellent. We look forward to returning next summer. We are so happy you enjoyed this fabulous home in Grand Lake on Shadow Mountain lake. Thank you for your great review. We look forward to welcoming you back! We had a wonderful extended weekend. Home is beautifully appointed. Very comfortable he waterfall is spectacular!